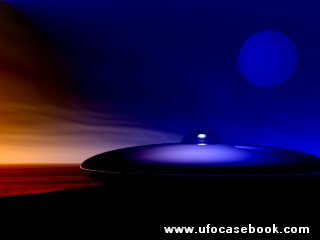 One of the most baffling and most publicized cases of a close encounter of the second kind occurred in 1957 at Levelland, Texas. Actually, there were no less than eight well-documented reports of the same craft, and seven more that were unverified; the seven called in by anonymous persons. Some of those who made their reports have kept their names secret. Sadly, this is the case in many UFO reports. Many of those who had thought they were doing the right thing have regretted their decisions later because of public ridicule. However, the Levelland case has many respectable witnesses who have come forward, especially several members of the Levelland Police Department who witnessed the fantastic sights of November, 2, 1957 in the town of about 10,000. To understand the full impact of this case, a chronological account is preferred. 11:00 P.M... Only one hour after the Russian Government launched their second dog-carrying satellite, and before America was aware of it, an unusual set of events began in the small town of Levelland. Patrolman A. J. Fowler was on desk duty when he received the first of fifteen different frantic phone calls in what would be an unforgettable night for him and his fellow officers. About four miles west of Levelland, Pedro Saucedo and his friend Joe Salaz were driving in Pedro's pickup truck when they saw a brightly lighted, cigar-shaped object moving in their direction. As the object approached, Pedro's car engine began to sputter, and his headlights went out. Finally, the car rolled to a stop. Later, a terrified Saucedo would sign a statement which indicated that the object was about 200 foot long. Calling Fowler from the small town of Whiteface, his call was dismissed by Fowler, who thought that the two men had been drinking. 11:45 P.M... Fowler receives a second call from a man identified only as Mr. W. The man was driving near the town of Whitharral, about four miles east of Levelland, when he came upon a brilliantly lit egg-shaped object, actually sitting on the pavement in the middle of the road. Mr. W's car engine stopped, and his headlights failed. Frightened, he left his vehicle, and after a brief period of time, the object silently lifted up to about 200 ft. and disappeared. His car started back up, and he sped away to make his phone call to Fowler. 12:00 A.M... Fowler receives a third call, this time from a man who was traveling 11 miles north of Levelland, when he spotted an unusual flying craft landed on the road. His car also faltered, and he sat watching the silent object for a brief period of time, until it rose up and disappeared into the night. Again, after the craft left the area, his car started, he left the scene, and called the Police station. 12:10 A.M... A nineteen year old freshman from Texas Tech University, Newell Wright, was driving 9 miles east of Levelland, when his car engine began to cut out, and his lights falter. After stopping his car and checking for some loose wire under the hood, he suddenly noticed a vivid object sitting on the pavement ahead of him. He described the object as about 125 foot long, and a bluish-green in color. Frightened, he tried to start his car again to no avail. He sat in his car; hoping that another car would come by. None did. After a little while, the object silently rose and faded away into the sky. Afraid to make a report, the young student waited to tell his parents when they arrived home from a trip. They encouraged him to report what he had seen. He made a statement at the Sheriff's office, and his report was included in the US Air Force's Project Blue Book. 12:15 A.M... Officer Fowler receives another call. This time from a man in a phone booth near Whitharral, who, as he was driving 9 miles north of Levelland, encountered an object of some kind sitting in the middle of the road. He had the same mechanical problems as the other motorists, and after the craft took off, his engine started again. At this point, Fowler's curiosity and concern motivated him to call the other patrol cars in the area, and report what he had heard from the different travelers. Later, he would state that "something odd" was going on. In a matter of a few minutes, two different Officers radioed in that they had seen two different flying objects with extremely bright lights, but had not yet encountered any engine problems. 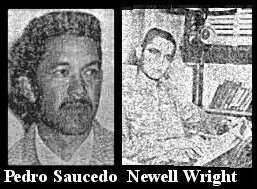 12:45 A.M... A man driving west of Levelland very close to the spot of Saucedo's initial sighting, sees a large orange ball approaching in his direction. The man testifies that this unknown craft softly lands on the road about 1/4 mile away. The motorist also related a very interesting fact. He stated that the craft, orange at first, became a bluish-green color upon landing on the road. He also noticed that the craft spanned the width of the road. After the craft landed, his engine also failed, and he sat in the cab of his truck, which was lit up by the glow from the craft. After a time, the craft lifted up and left the area. This man did not make a report at the time of the sighting, but did file a report the next day. 1:15 A.M... Fowler receives a call from a truck driver from Waco, Texas, who states that while driving northeast of Levelland, he witnessed a large, glowing object, and at the same time, his truck engine failed. Fowler noted that the caller was extremely frightened. The driver added that the object was about 200 ft. long, and after it left the area, his truck roared back to life, and he "got the hell out of there." 1:30 A.M... Fowler receives the first definite sighting of the object by two law enforcement officers. Sheriff Clem and Deputy McCullough, who were receiving constant updates from Fowler, had observed a "large, glowing object," pass across the highway. The two officers were trying to track the object by the radio calls from Fowler. They were about 4-5 miles outside of Levelland when they saw the object. The two officers stated that the object looked like a large, red sun and it lit up the entire highway as it passed over. The events of the night finally came to an end. Fowler would later state that he had received no less than fifteen calls from observers who claimed to have seen the unusual craft. He also said that they were legitimately excited, and some of them extremely frightened. The unusual number of witnesses to the Levelland events only solidified the theory that some unusual craft had been in the area of the city for at least 2 1/2 hours that night. The dramatic accounts of the landings on the road set this case off as one of the most convincing cases of an encounter with the unknown. The next day the small town of Levelland, Texas was bulging over with reporters, anxiously awaiting some official explanation for the events of the night before. The Air Force did investigate these sightings, but offered no reasonable cause for what was seen that night, save for an electric storm. The case is still considered "unexplained."